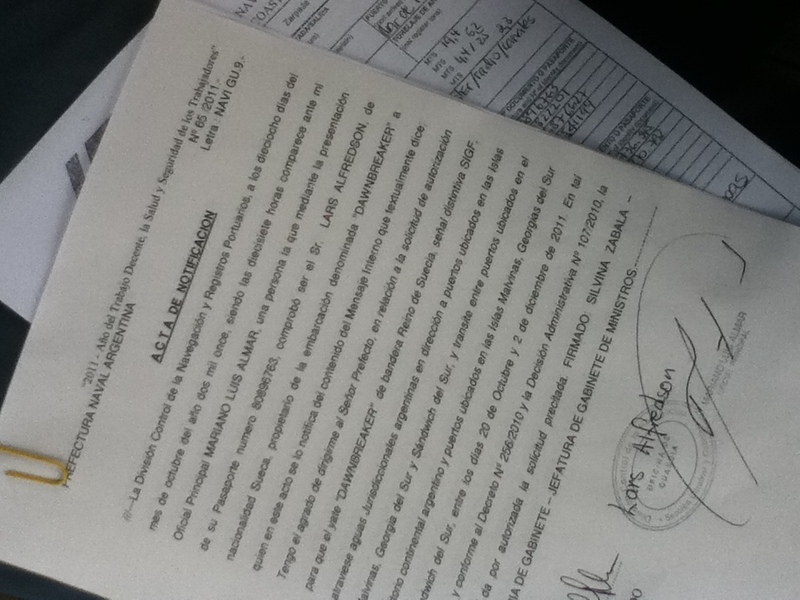 Today we were issued our permit to sail to las islas Malvinas (falklands). G&T to celebrate. Mind you British passport holder will stay behind .... Just kidding Bob and Peter!